This beautiful guide to buying, storing, and cooking more than 20 varieties of wild and cultivated mushrooms (and truffles!) also collects 125 mouthwatering recipes. More than 100 color photographs capture the unique characteristics and, indeed, the elegance, of each type of mushroom, providing tempting visuals for the 100 dishes featured in the book. 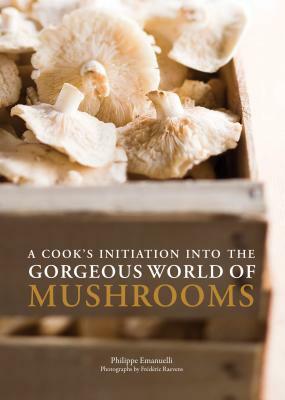 An evocative object in itself, A Cook's Initiation into the Gorgeous World of Mushrooms will be equally at home on a gourmet's kitchen countertop and a nature lover's coffee table. Phillipe Emanuelli is an avid lover of mushrooms and co-founder of Café des Spores in Brussels, where he lives. Frédéric Raevens is a food, architecture, and lifestyle photographer based in Belgium.